Delhi’s premier medical centre, the All India Institute of Medical Sciences (AIIMS) on Tuesday moved the Delhi High Court seeking its approval to replace its forensic department head Sudhir Kumar Gupta, who had alleged discrimination by the institute following his self-confessed refusal to act unprofessionally in the autopsy of Sunanda Pushkar,wife of Congress leader and former Union Minister Shashi Tharoor MP. 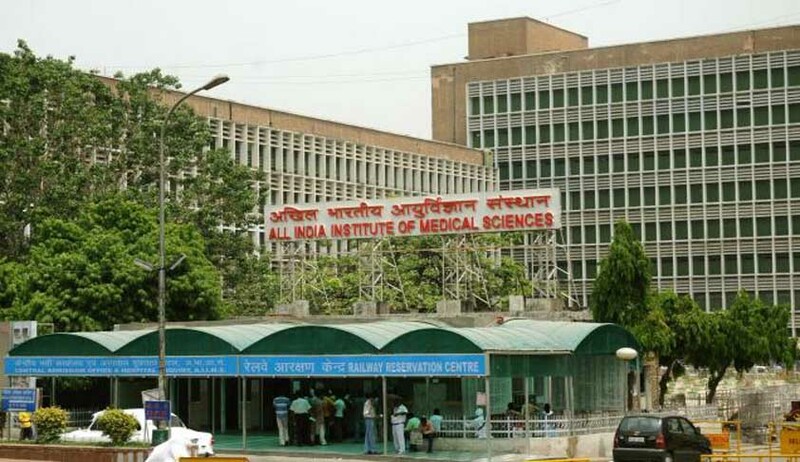 In its plea, the AIIMS asked for permission to appoint Dr D.N. Bhardwaj as the head of its forensic medicine and toxicology department in place of Dr. Sudhir Kumar Gupta. The Court will hear the AIIMS’ plea on July 23. Earlier, the High court, in its order on March 25, had asked the AIIMS to take its permission before replacing Dr Gupta. The order had come on Dr Gupta’s plea challenging a March 4 decision of the Central Administrative Tribunal rejecting his charge that Dr O.P. Murty was promoted after purging his seniority with the purpose of obtaining a “tailor-made report” in the mysterious death of Congress MP Shashi Tharoor’s wife Sunanda Pushkar. Sunanda, 52, was found dead at the Hotel Leela Palace in Delhi on January 17, 2014. A team headed by Dr Gupta, which also included Dr Adarsh Kumar and Dr Shashank Puniya, had conducted the autopsy.The team, in its final autopsy report submitted to the city police, had concluded that Sunanda had died due to ‘poisoning’. Dr Gupta, on the other hand, has alleged a “tacit understanding” between the institute director, Dr M.C. Mishra, and Mr Tharoor. In a letter to Union health minister J.P. Nadda, who is also the AIIMS president, he claimed there were certain emails which show a “tacit understanding” between Dr Mishra and Mr Tharoor over the post-mortem of Sunanda Pushkar. “I was asked by Dr Mishra to give a post-mortem report of late Sunanda Pushkar as natural death which was contrary to the findings,” he said in his letter dated May 28. In a letter to Mr Nadda, Dr Adarsh Kumar alleged that the team was asked to give the case of death as natural, but said the team had taken principled and professional stand in the autopsy and not succumbed to pressure. However, AIIMS PRO Dr Anil Gupta clarified that there was no pressure on the Forensic Department to alter medical opinion in the case. In its application, the AIIMS said that Dr Bhardwaj was senior to Dr Gupta by four years and that Dr Gupta had not challenged the former’s seniority either before CAT or in the high court.